I have lived near Forest Creek since 1995, and I have sold countless homes in this neighborhood. Well, maybe not countless, but enough that I know what I am doing there and to know that it has great value. 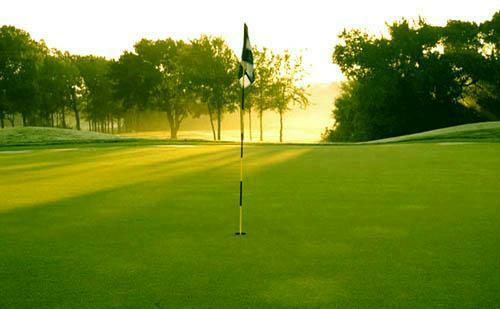 With a challenging and immaculate golf course, it is no mystery why it remains a popular destination both for those moving up within the Round Rock area and for golf fanatics and retirees as well. Additionally, Forest Creek Elementary is perennially well-ranked with the Texas Education Agency's accountability system. Currently, there are 27 homes available on the MLS including all sections of Forest Creek, with an average asking price of $341,105. The average square footage for these homes is 3,237, for an average price per square foot of $104.20. Average figures may have less value, with the broad range of offerings right now. The lowest current asking price is $234,449, and the highest is $1,295,000. Presently, there are 13 homes under contract in the subdivision, with an average listing price of $288,128 and an average square footage of 2,765, yielding an average price per square foot of $104.21. Over the past year (January through December 2013), there were 157 sales closed within Forest Creek. The average listing price was $299,751 and the average sales price was $292,751. This means that homes sold for approximately 97.7% of the list price. The average number of days on the market was 57, which is in line with the overall average for the Austin area MLS. The square footage of the homes sold averaged 3,028, and the price per square foot for the sales was $97.15. Prices certainly appear to be on the upswing, along with the rest of the Austin real estate market. If you have any questions about Forest Creek, or if you would like to schedule an appointment to see these properties or any others in the Austin area MLS, please give me a call anytime at 512-796-7653 or emailjason@austintexashomes.com.